Donny Moore takes the win in the Outlaw Modifieds Series at Oxford Plains Speedway and finds himself tied for the championship lead with Ronald Henrie. Henrie finished 2nd followed by Matt Hoose in 3rd. Lowell Jewell and Brian Neff are tied for 3rd in the standings. The series’ visit USA International Speedway in Lakeland, FL. next weekend. 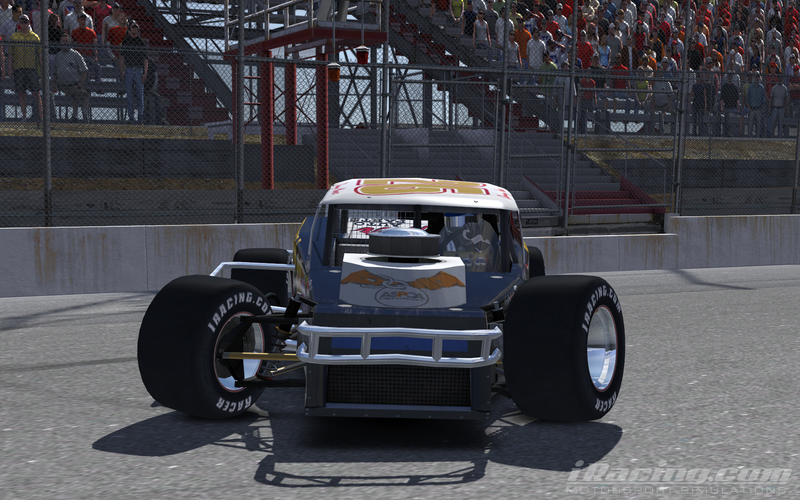 This entry was posted on Sunday, October 26th, 2014 at 10:52 am	and posted in Bootleg News, iRacing, Legends Series, Outlaw Modified Series, Street Stock Series, Super Late Model Series. You can follow any responses to this entry through the RSS 2.0 feed.